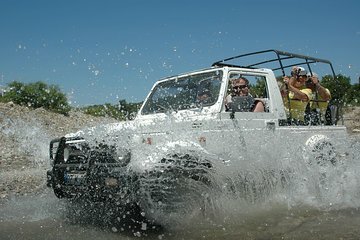 Get ready for a thrilling off-road adventure on this full-day Jeep safari from Kemer. Tackle the rugged terrain of the Taurus Mountains with ease, as you climb the dirt tracks and whizz around serpentine bends, then admire the views from the 4,900-foot (1,500 meters) mountaintop. You’ll also have chance to explore the mountain villages and get a taste of local life, as well as cooling off with a swim beneath a waterfall.